Call Us For Immediate Service! 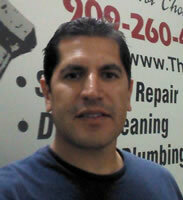 Plumbers in Pomona Valley, California. Hydro Jet Sewer and Drain Cleaning in Chino CA. Hydro Jetting or Water Jetting as it’s also called is simply shooting a very high velocity stream of water under pressure into your sewer or drain line. The hydro jet line is fed into your drain and the spinning head (with different attachments) blasts away years of accumulated grease, oils, scale, tree roots and other build-up that might be inside your sewer lines. 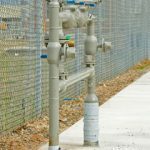 The regular practice of jetting out your lines can keep you from having costly repairs later on due to broken pipes or clogs that require ground disturbance. 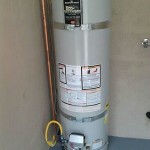 The Plumbers Connection is a full service plumbing contractor using state-of-the-art hydro jetting equipment. 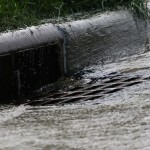 We specialize in jetting drains for residential and commercial customers throughout the Chino area. For our commercial customers we can offer you regularly scheduled maintenance programs to keep your sewer and drain system clear of debris and operating smoothly. Hydro Jetting For Apartments and Townhomes. The Plumbers Connection are your local Chino, hydro jetting experts. It doesn’t matter if you want something as simple as a single sewer line hydro jetted, or several sewage lines running out of your building or facilities. We can complete any type of hydro jetting and drain cleaning project you may need finished. Why Choose The Plumbers Connection For Hydro Jetting? We understand you have many choices when it comes to choosing a hydro jetting contractor in the Chino, CA area. We just want you to know that when you choose The Plumbers Connection you are supporting a small, family-owned local plumbing services business. We’re big enough to solve your complex sewer and drain problems quickly and for a very fair price and we’re still small enough to care about every individual customer so you are completely satisfied with our services. "After having been quoted $1300 from another company to hydro jet my drain line I called The Plumbers Connection and they quoted me a drastically reduced price. They were not able to come out that day to do the hydro jetting, but they sent Joe over to clear the stoppage so that my family could use the shower, sinks, and toilets. Next day they came out, on time, and cleaned out my drain line. Being that I'm a former carpenter, Joe gave me some tips on some DIY tasks that I could perform. They are courteous, professional, very competent people!"